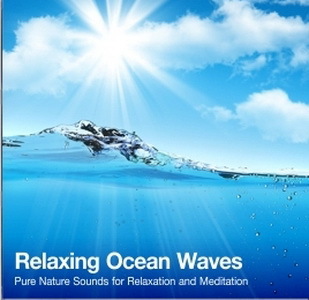 Let your worries drift away with these relaxing ocean sounds. The tranquil sound of ocean waves is very hypnotic and soothing. These natural sounds are great for general relaxation, for helping you to sleep, or as a peaceful aid to meditation. Since the beginning of time, mankind has been graced with Mother Nature’s own relaxing sounds. But in the modern era, we have become cut off from the natural sounds of the world. Nowadays so many of us are so surrounded by the noise of modern industry and media that we never have the opportunity to enjoy natures own relaxing background music. Listening to natural environmental sounds reminds us that we are a part of a greater whole. Nature sounds like this relaxing ocean waves recording remind us that our life extends beyond the walls that surround us at our home or office. These soothing sounds are innately peaceful and have a purity about them that many of us have become disconnected from, and they are wonderful for relaxing the mind. Take a moment to appreciate just how relaxing the sounds of nature can be. Give yourself some time out to de-stress and sink into a state of deep meditative stillness...the sounds of the ocean will take you there.